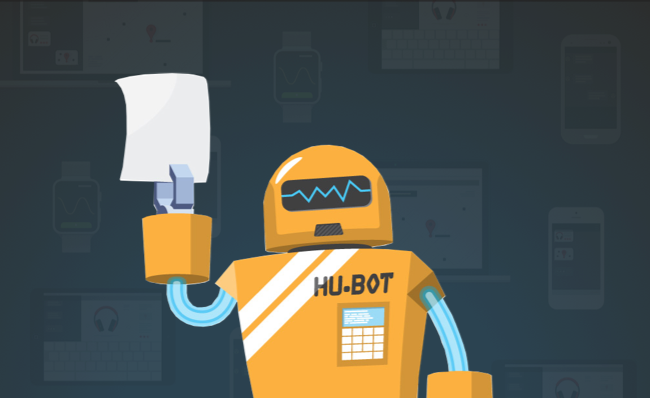 Hubot is your company’s robot. That’s what it says on Hubot’s home page anyway. But what if Hubot could be more than that? What if Hubot could be your users’ robot, your customers’ robot or, why not, everybody’s robot? If this hasn’t made any sense, then you haven’t come across GitHub’s home grown, chat room dwelling, automation bot yet. Hubot is an open source chat bot that you can program to sit in your company chat room and respond to messages, from doing simple things like posting images to anything you can dream of in code. With the recent launch of Twilio Programmable Chat I added a little launch of my own: a Hubot adapter for Programmable Chat. This means that you can add Hubot into your Programmable Chat based chat and use any of the hundreds of scripts that developers have developed for the bot over the years. And if there isn’t a script that does what you need, they’re easy to create too. In this post we’re going to learn how to setup a Hubot for Programmable Chat and then supercharge it with community and custom scripts. We also need a working Programmable Chat application with which to test our bot. If you don’t have one already, I recommend getting the Programmable Chat Quickstart for Node.js up and running. Make sure you hold on to the Programmable Chat Service SID and your API key pair that you use to create the application, you’ll need those later. Got all that going? Get a great name like PompousZeldaKane? Good, let’s make ourselves a Hubot! Now create a directory for your Hubot to live in and change into that directory. This seems like a good idea to name our bot. As Hubot is the name of the overall project it will be easier to refer to our bot by its own name. I’m going to call mine philbot (see what I did there?). Pretty straightforward so far, right? Let’s get Hubot connected to our chat. Hubot uses the environment to store the credentials it needs to sign into the chat service. To connect to the quickstart we got running earlier we’ll need the Service SID, API key and API secret. You can test he’s in the room by chatting to him. Send the message philbot ping and if you receive a “PONG” in return then your bot is up and running. Now we have our own personal Hubot up and running within our Programmable Chat we can start to see what it can do. Hubot comes with a few preloaded scripts, that ping/pong example was one of them, and you can install any of the other existing scripts. That’s a whole lot of chat bot power at your fingertips already! There are hundreds of available Hubot scripts for you to install, so you can explore by checking the list of Hubot scripts or just searching for Hubot on npm. If you can’t find a script that suits you things are about to get even better. Creating Hubot scripts is almost as easy as installing them! If you look in your Hubot project, you will find a folder called scripts and within that an example.coffee file. Open that up and you will find a bunch of commented out example scripts that show how to get started creating your own Hubot script. You can see the basic building blocks of a script. You export a function that takes a robot as an argument then attach behaviour to that robot with the methods hear, respond, enter, leave and topic. The most important are hear and respond, the former allows your robot to listen in for anything that happens in the room and the latter to anything said directly to the robot, like most of the examples we’ve seen so far. res.send "Badgers? BADGERS? WE DON'T NEED NO STINKIN BADGERS"
Uncomment the first example, restart your Hubot and type anything about “badgers” into your Programmable Chat and watch Hubot respond. If you’re interested in writing something slightly more useful then check out the Hubot scripting documentation for more details on how to write scripts. It covers how to generate your own custom scripts using the Yeoman generator as well as error handling, documentation, persistence and middleware; all the features you can use to create your own very sophisticated Hubot scripts. Today we’ve seen how we can start our own Hubot and connect it to Twilio Programmable Chat. We’ve even started to add our own scripts to our bot. So what’s next? Have you built Hubot scripts in the past? If so, do share them in the comments below. Let me know if you come up with a useful script for Programmable Chat too, I’d love to share it here. If you’re happy with your bot it might be time to deploy. 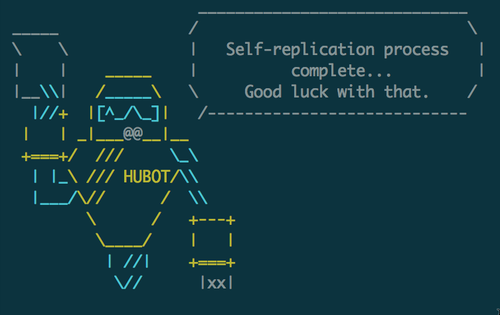 There’s great documentation on deploying your bot on the Hubot site. Finally, please check out the source code to the Hubot adapter for Twilio Programmable Chat. Issues or pull requests are very welcome. I hope you have fun creating your own robot for your IP Messaging applications. Please do share what you get up to with it, just drop me an email at @philnash.